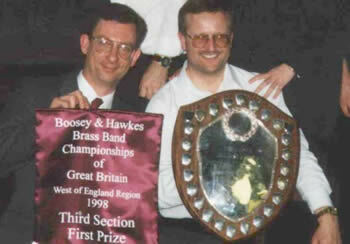 Phoenix Brass Band is a friendly 2nd section band based in Crewkerne, Somerset. We were founded back in 1995 with the ethos that banding should be fun, should not dominate your life yet we still take the music seriously. We are a contesting band and have enjoyed successes over the years since our foundation. Please get in touch if you're interested in joining or would like to book us for an engagement. Scroll down the timeline below to see a few key dates and information about the band since 1995. 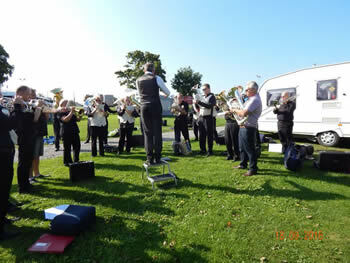 After a meeting over a few beers in the local pub, a group of players came together to form Phoenix Brass Band. Players came from a number of local brass bands and also included members from the old Crewkerne Town Band, and Crewkerne Concert Band. A number of these founding players are still in the band today. After just 5 years of being formed, Phoenix won promotion to the National 2nd Section. Matt Read (Principal Cornet) and Lynda Schofield (Tenor Horn) got married in Beaminster Church with the band playing at the service. 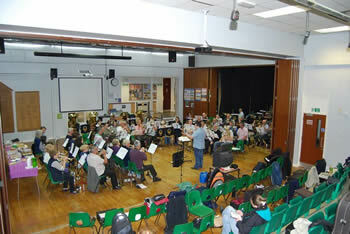 Moved to our own band room off Severalls Park Avenue in Crewkerne. We performed for the Queen and Prince Philip during their visit to Crewkerne. 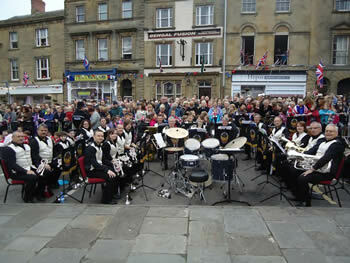 We performed for the Queen's Jubilee Concert at Hen Hayes in Crewkerne. Joint concert in Crewkerne with local singers to raise money for victims of local floods. Hosted a brass band workshop with David Thornton, supported by nearly 70 musicians and sponsored by local music shop, John Packer the brass and woodwind specialists based in Taunton. Charity concert to raise money for Dementia in conjunction with Chard Concert Brass. Promotion back to National 2nd Section after winning 3rd Section. The contest and win was an emotional one as the band were only just coming to terms with the sudden loss of long standing BBb bass player, Roger Newton. After our Regional success, we represented the West of England at the National Finals in Cheltenham. Our principal euphonium player, Steve Taylor, was forced to give up playing the euphonium after being diagnosed with Cancer, but was so determined to play a part on the day he joined our percussion section on stage even though he had been weakened by his chemotherapy treatments. Meningitis awareness concert with Chard Concert Brass in memory of former player Roger Newton, in which we managed to raise over £1,600 for the charity. Listen to Roger's favourite piece "Ticket to Ride" which we played in his memory at the concert.